As we have seen earlier, the chatbots are trending tool of the digital marketing industry. In our #WeTalkDigital Series we have guided you through, Role of Chatbots in Digital Marketing To be the part of the winning race, one needs to keep moving forward with all the innovation and changes coming into the digital market. Let us have a glance at why this is the highly evolved domain among all. When the social media marketing jobs first came to the existence, there was no any type of solid descriptions. Late on, the social media agencies, social media editors, digital marketing and a marketing strategist gradually came to the picture. Today, there is a huge number of Digital Marketing Practices that manage whole virtual marketing. Now, with Chatbots, it feels like we are on the right point. But, who will write scripts? Who will decide the paths of the Chatbots? Who will create paths what if they will fail to perform? How one should market and advertise them? Loads of people including your potential customers visit your social media profiles for your products & services and reviews about the company. Among all, the qualified leads surely inquire for the services or something that has been not included in the visual information. The world is far more connected and the time zone difference creates delays in the communication services. Or due to the lack of customer services agents, you will lose a potential lead. To get off this clumsy situation, the Chatbots are the only answers as they are the low budget and most effective Digital Marketing tool. Let us move a step ahead in creating them. According to Forbes and Gartner's report, The Conversation Designers are going to be at the top of the jobs in Digital Marketing Firms. So far with Chatbots, companies were using things: Conversational UI, Chatbot Writer, Artificial Intelligent Writer, and Artificial Intelligence Interaction Designer. Well, all of them are called the Conversation Designer. Here is the brief outline of how to create an effective chatbot. The simple and short answer to the above question is - Personality Building. The cardinal aspect that differs the bot from an ineffective one is the Company image. One important thing that our dedicated Digital Marketing Masters have noticed that almost all the bot-first company sounds the same. Why is so? Because they have written by developers, not the Content writers. The conversation while functions is a linear with surprises that a creative writer may include. And when bots fail, they say clear and loud - ‘Sorry, I did not understand you’ and your visitors get frustrated. Debt like ‘Please send your requirements to (Contact details).I’ll redirect you to a human ASAP. Thank you for the time you spent with me’ will going to want all up and the engagement will also increase. This will create a magical touch to the non-humanly thing. When the conversations are designed perfectly, the company image will shine brighter. Many brands are spending a great amount of time and money developing a great digital personality. Also seeing the translate into the Chatbots will delight the user and help them to understand or keep them on track. Where exactly do we go from here? 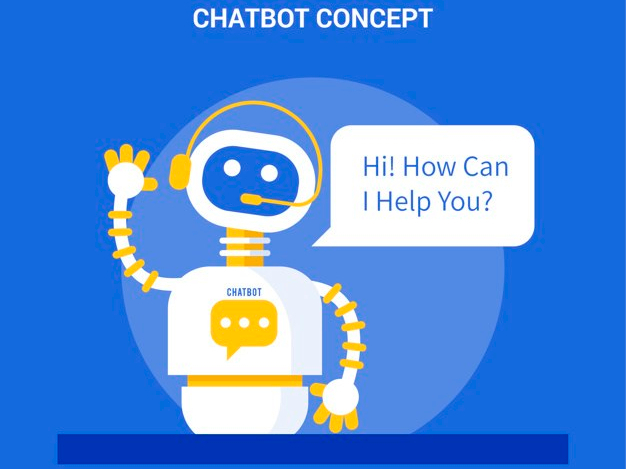 While planning a chatbot, the digital marketing expert must create and develop paths for the visitor that could take them through all the question and queries. And when the conversation is successful and is about to reach the end of it, Such as asking for a quote, or Contact details Or buy something. Among all the people who chat via chatbot, some of them need more hand-holding, and few of them will definitely try to get the bot to fail. It is definitely a nonlinear thing, and the more flexibility you give while designing the bot the more engagement it will create. More storyline leads you to the frequent visit of the same user. Like visiting a virtual friend. Creating an image is a key to creating a bot that is enjoyable and convert more leads. But copying a conversation can lead to losing the potential leads. As your SEO says, copying will cost your business a bigtime because every word of the conversation matters. Albeit the displays are large but the buttons are still preferred to be smaller, also there is a possibility to be creative with customised GIFs and stickers. A wise choice to eliminate the copying option. A path to create effective conversation to increase the conversion ratio. There are a few tools that you can use to create a perfect non-linear script. But we are still bit early in the space. All tools of the Chatbots are not fully developed. Below is the example workflow for how professionals create the scripts. The Digital Marketing Team might be able to use Google tools and Bot Mock-ups together, to show a client how the final product look will like. Like most successful stories and papers, start with an outline. It will give a clear picture of almost all the things that need to be written. Once you come up with the strategy of a Chatbot, create maximum possible flows that will lead you to the end goal. You will definitely need an entry point, but there are multiple ways to reach the key question. Your digital marketing team likely to find new paths that make a continuous flow of the natural conversation. Once you have the outline and a map, you can start expanding the script. While you’re writing, keep track of each different mind-set of visitor that might get confused. Or maybe expecting a different answer than your storyline. That will eventually lead you to expand additional flows. Create 2 or 3 most robust paths of your script, and meanwhile intersect at some way. It is advisable to build chapters of the script. Yes, it may seem simple yet the foremost impression of the Chatbot. From the entry to the exit the content and flows matters a lot. Make a perfect path to reach the goal. In some cases add a handoff to the human. Either way, do not leave anyone High and Dry. Conclusion: As everyone worries about the failing of Chatbots. We say be happy about that because you might be successful in engaging and getting specific questions from visitors. In this case, collect all the queries that failed the Chatbots and come up with a few more path. Creating a Chatbot is a time-consuming process but believe us it is for your business’s better tomorrow. Having such an awesome line saying ‘oops, we are stuck, let’s try again’ is one of the most powerful things that our splendid Digital marketing team can come up with. If you will come up with your own flows, your Chatbot will fail for sure. In fact, Hire digital marketing company to do the same task will help you beat the failure of the chatbot and increase the engagement ratio. When it comes to creating a strong image on a virtual media we are the top notched Digital Marketing Service provider. If you wish for the same contact our Digital marketing experts at Kunsh Technologies. They are well aware with Chatbots and other effective digital marketing tools that can make a strong impact on visitor and help you convert them into vendee.